By almost any measure, the 2018 season was a spectacular failure for the Diamondbacks. Arizona spent more days in first place (125) than any other National League team this year, but they lost 24 of their final 35 games, and collapsed out of the postseason picture. 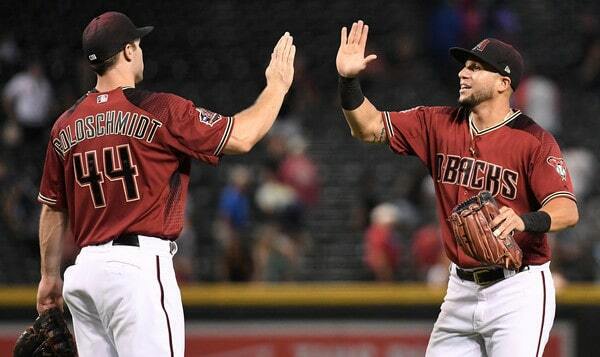 The D’Backs finished 9.5 games back in the NL West and 8.5 games back of the second wild card spot. Ouch. Patrick Corbin and A.J. Pollock are free agents this offseason and Paul Goldschmidt will be a free agent next winter, meaning the D’Backs’ window is starting to close. It is no surprise then that Buster Olney reports Arizona is willing to listen to trade offers for their best players, including Goldschmidt. We all love Luke Voit, he was awesome down the stretch, but Goldschmidt sure would look good at first base in pinstripes, wouldn’t he? Anyway, the D’Backs have several players who could (should) be of interest to the Yankees this winter. These two teams have gotten together for five trades in the last four years (Brandon McCarthy, Martin Prado, Didi Gregorius, Tyler Clippard, Brandon Drury) and I’m sure they could work another deal or two if properly motivated. Here are some D’Backs players potentially of interest. Why would the Yankees want him? Well, the Yankees need a shortstop now that Gregorius has had Tommy John surgery, and Ahmed is a standout gloveman. One of the best defensive shortstops in the game. He can’t hit much (.234/.290/.411 and 84 wRC+ in 2018) but he sure can pick it. Ahmed, 29 in March, has two seasons of control remaining and his arbitration salaries are relatively low (MLBTR projects $3.1M in 2019) because of the lack of offense. Keep in mind the Yankees reportedly had interest in Ahmed two years ago. Why would the Yankees steer clear? He can’t hit, for starters, and similar all-glove/no-bat shortstops like Adeiny Hechavarria and Jose Iglesias will be available for nothing but cash as free agents. Perhaps you buy last year’s power breakout — Ahmed went from six homers and a 47.7% ground ball rate in 2017 to 16 and 40.8% in 2018, respectively — but there’s not much offensive potential here at all. If the Yankees don’t pursue Ahmed, it’ll likely be because a) they’re aiming higher, or b) they view the free agent shortstops as comparable. Why would the Yankees steer clear? No good reason, really. I suppose the jump in home run rate is a red flag — Bradley went from a 0.49 HR/9 (7.4 HR/FB%) last year to 1.13 HR/9 (13.8 HR/FB%) this year — and the cost might be prohibitive given how hard it can be to acquire quality relievers these days. Otherwise Bradley seems like exactly the kind of reliever the Yankees would be interested in adding. Young, cheap, strikeouts. He right up their alley. Why would the Yankees want him? Goldschmidt is on the short list of the best players in baseball and I think he’s the best first baseman in the game overall. 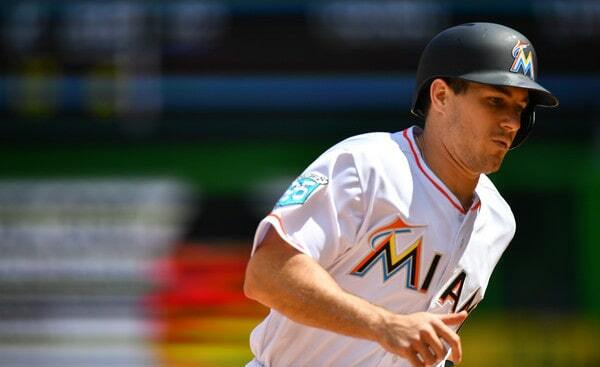 He started slowly this year and still finished at .290/.389/.533 (144 wRC+) with 35 doubles and 33 home runs. Goldschmidt doesn’t really steal bases anymore — he went 7-for-11 (64%) on the bases this season, two years after going 32-for-37 (86%) — but who cares when he hits like he does? Add in excellent defense and a cheap $14.5M salary for 2019, and adding this dude is a no-brainer. Why would the Yankees steer clear? The only reason is cost. The D’Backs figure to have a high asking price (as they should) and the Yankees might not want to trade all those prospects for one season of Goldschmidt, even as good as he is. He turns 32 next year and I’m not sure signing him long-term would be the wise idea. Goldschmidt did set a new full season high strikeout rate this year (25.1%), though that’s not excessive or worrisome at this point. That’s an acceptable strikeout rate given what he does at the plate. Goldschmidt is one of the best players in the world and the only reason the Yankees might avoid him is cost. Arizona will probably ask for the moon. Why would the Yankees want him? The Yankees need starting pitchers, and, even with his 35th birthday coming up later this month, Greinke still threw 207.2 innings with a 3.21 ERA (3.71 FIP) with very good strikeout (23.1%) and walk (5.1%) rates this season. He got a good amount of ground balls (45.1%) as well. Greinke reminds me so much of Mike Mussina. He has a very deep arsenal (four-seamer, two-seamer, slider, curveball, changeup) and well as command and pitching know-how that borders on generational. Even the delivery and follow through remind me of Mussina. Greinke is durable (200 innings eight times in the last eleven years), he’s never had a serious arm injury, and his pitching style should allow him to age well, in theory.
? Why would the Yankees steer clear? Dig in and you can find a reason to steer clear of any player. Greinke’s average fastball velocity (90.0 mph) this past season was the lowest of his career and it’s been trending downward the last few years, which is completely normal at his age. That reduced fastball has led to more home runs (1.21 HR/9 and 15.0 HR/FB% the last three years), which is no fun. Also, Greinke is owed $104.5M the next three seasons. That’s a ton of money. Perhaps the D’Backs would eat money to facilitate a trade — would they turn him into a $20M a year pitcher? — but of course that means giving up better prospects. One thing to note: The Yankees have avoided Greinke whenever he’s become available in trades or free agency because they don’t think he’d mix well with New York. Why would the Yankees want him? Peralta is a sneaky good fit for the Yankees. The former pitcher and independent leaguer hit .293/.352/.516 (130 wRC+) with 30 home runs and a more than acceptable 20.2% strikeout rate in 2018. He’s a left-handed hitter who knows how to pull the ball with authority, and the various defensive stats rate him as an average left fielder. Also, Peralta is under team control another two years (MLBTR projects $7.7M in 2019). The Yankees need a left fielder and they could use another lefty bat, especially following Didi’s injury. Peralta is both those things. Why would the Yankees steer clear? Peralta is going to need a platoon partner. This past season he hit .318/.377/.568 (150 wRC+) against righties and .237/.294/.399 (86 wRC+) against lefties, and his career split (131 wRC+ vs. 77 wRC+) is drastic as well. At age 31, chances are he’ll slow down a bit going forward and lose some value in the field as well. That’s really about it. As productive as Peralta has been the last few years, he does need a platoon partner and I’m not sure he’s actually an average defender in left field. There does appear to be a fit here, depending on the price. Why would the Yankees want him? The Yankees need starting pitching and the 27-year-old Ray has emerged as one of the best strikeout artists in the game the last few seasons. He posted a 3.93 ERA (4.31 FIP) with 31.4% strikeouts and 13.3% walks in 123.2 innings around an oblique strain in 2018. Over the last three seasons only Chris Sale (33.4%) and Max Scherzer (32.8%) have a higher strikeout rate than Ray (30.6%). He’s a southpaw with good velocity (94.1 mph in 2018), two secondary pitches he throws at least 20% of the time each (curveball, slider), and two years of team control remaining (MLBTR projects $6.1M in 2019). Aren’t the Yankees looking for someone pretty much exactly like this? Why would the Yankees steer clear? Remember how I mentioned Ray has the third highest strikeout rate over the last three seasons? Well, he also has the fifth highest walk rate (10.8%) as well as a higher than you’d like home run rate (1.29 HR/9 and 16.1 HR/FB%). That’s in the non-DH league, remember. Walks and home runs tend to not mix well with Yankee Stadium and the AL East in general. Also, the Yankees are spin rate believers — their average 2,364 rpm four-seamer spin rate was second highest in baseball this season behind the Astros (2,366 rpm) — and Ray’s spin rates are not good. His fastball spin rate is almost exactly league average — you want either high spin (swings and misses) or low spin (grounders) on a fastball — and both the slider and curveball spin rates are below average, which is bad. Ray is intriguing, for sure, but he might not pass the analytics test. As always, take this “they’re willing to listen to offers” report with a grain of salt, because every team is willing to listen at all times. The GM wouldn’t be doing his job if he didn’t listen. In Arizona’s case, their late season collapse and closing window suggests they will indeed consider trading away their top remaining players to kick start a rebuild. A rebuild feels imminent. The D’Backs have several players who could interest the Yankees, most notably Goldschmidt and Peralta. Ahmed, Bradley, and Ray are possible targets as well. (Greinke strikes me as a long shot.) Those dudes are worth a deeper dive as we get into the offseason. Other possible targets include lefty Andrew Chafin, righty Zack Godley, righty Yoshihisa Hirano, and utility man Chris Owings. I suspect we’ll hear the Yankees and D’Backs connected in several trade rumors this winter. The mystery team has struck! According to multiple reports, the Diamondbacks have swooped in and agreed to sign free agent right-hander Zack Greinke to a six-year contract. No word on the money yet, but my guess is he’ll get slightly more than the $31M annually the Red Sox are set to give David Price. Greinke, 32, just had an insane season, pitching to a 1.66 ERA (2.76 FIP) in 222.2 innings for the Dodgers. Los Angeles and the rival Giants were bidding for Greinke in recent days before Arizona jumped into the mix. Greinke opted out of the final three years and $71M left on his contract after the season. The D-Backs went 79-83 this past season and that represents a 15-win upgrade from 2014. They have a sneaky good core too, with Greinke joining Paul Goldschmidt, A.J. Pollock, Patrick Corbin, Robbie Ray, David Peralta, and others. I don’t know if they’ll contend in 2016, but they won’t be a pushover either. The Yankees were never involved in the Greinke sweepstakes as far as we know. They shed only a little salary after the season and various team officials are saying they don’t have much money to spend on free agents this winter. If they were going to spend big for a pitcher, my guess is it would have been Price, not Greinke. According to Jon Heyman, Dodgers right-hander Zack Greinke will exercise the opt-out clause in his contract after the season. He has three years and $71M left on his deal. Given his monster Cy Young caliber season, it would have been a surprise if Greinke didn’t exercise the opt-out clause. He should clear that $71M easily this winter. Greinke, who turns 32 later this week, had a 1.66 ERA (2.76 FIP) in 32 starts and 222.1 innings this seasons. 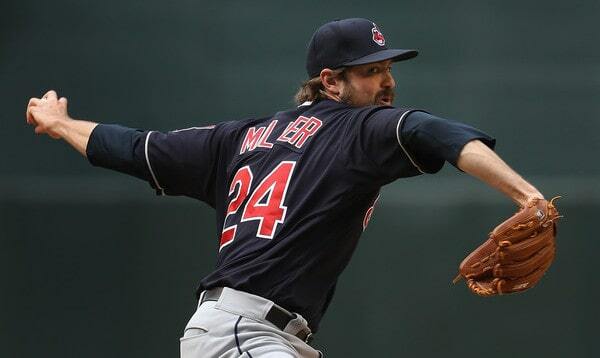 Since 2008 he owns a 2.99 ERA (3.02 FIP) while averaging 205 innings per season. Greinke’s a true ace and it seems like the consensus is he will age well because he doesn’t rely on velocity. He succeeds with pristine command of five pitches. Heyman says the Yankees are among the teams expected to pursue rotation help, which, duh. Yeah, they do have seven starters either under contract (CC Sabathia, Masahiro Tanaka) or team control (Luis Severino, Nathan Eovaldi, Michael Pineda, Ivan Nova, Adam Warren), but there are a lot of question marks in there, mostly health related. Besides, there’s no such thing as took much pitching. I don’t expect the Yankees to pursue Greinke at all. Aside from the fact they seem unlikely to drop huge money on another starter, they also steered clear of Greinke the last time he was a free agent due to concerns about his ability to handle the media spotlight in New York. He had no trouble in Los Angeles, but whatever. It seems a little silly but the Yankees have focused on that stuff quite a bit in recent years. Joel Sherman spoke to a Dodgers official who agreed Greinke is in line for a five-year, $150M contract this winter. That may sound surprising, but Cliff Lee and Sabathia signed five-year contracts worth $120M or so at age 32 a few years ago — Sabathia’s deal was his extension after 2011 — so adjust for inflation and you get five years and $150M for Greinke. Then again, the Lee and Sabathia contracts are cautionary tales. The free agent pitching market is pretty stacked this year. In addition to Greinke you have other aces like David Price and Johnny Cueto, solid secondary targets like Jeff Samardzija and Hisashi Iwakuma, and back-end types like Ian Kennedy and Mike Leake, among others. The Yankees will have plenty of free agent rotation options this winter if they decide to go that route. All things considered, the rotation stayed fairly healthy this season. Tanaka, Pineda, and Sabathia — the three biggest injury risks — combined for 80 starts. That’s more than I think many folks expected, including myself. Eovaldi ended the season hurt though, and Warren still hasn’t gone through a full season as a starter, so some depth would be appreciated. If you’re optimistic, you can say Michael Pineda will take Warren’s spot sometime in June. If not, then I don’t know what to tell you. Either way, that’s not a championship-caliber rotation. The Yankees have some work to do this winter, and for the most part I think the pitching plan involves waiting for Hiroki Kuroda and Andy Pettitte to declare their love of pinstripes and sign nice little one-year deals to rejoin the team in 2013. That would be ideal. What if that doesn’t happen though? It doesn’t take much effort to envision a scenario in which Kuroda decides to return to Japan and Pettitte decides to stay home with the wife and kids. The Yankees would really be in a bad spot if that happened because … well … look at that rotation above. Luckily this free agent class offers some solid rotation options, so the Yankees would have plenty of alternatives if things don’t go according to plan. Some of those options are better fits than others, however. The undisputed best pitcher on the market, Greinke is probably looking at a contract worth $120M+ across five or six years. Matt Cain type of money. Fair or not, the Yankees are concerned about how the 29-year-old would fit in New York though. Greinke met with Brian Cashman face-to-face during the 2010 Winter Meetings in an effort to convince him that he wanted to pitch in the Big Apple, but no dice. Cashman wasn’t having any of it. There isn’t a team in baseball that couldn’t use a pitcher of this caliber in their rotation, but the combination of asking price and other concerns make Greinke almost a non-option for the Yankees. There isn’t a person alive who doesn’t want their team to take a one-year flier on Haren this offseason. He’s been an ace-caliber pitcher for the last half-decade or so and he’s still relatively young (turned 32 in September), which is all you could ask for from a free agent. That said, there are major red flags here. Haren has battled back trouble through the years and they caused him to hit the DL for the first time in his career this season, plus his fastball velocity has been declining for years. The Angels were trying to trade Haren before having to make a decision about his option last Friday, but ultimately they came up with nothing and had to decline the net $12M deal ($15.5M option with a $3.5M buyout). The combination of the Cubs pulling out of the Haren-for-Carlos Marmol trade talks and the fact that no other club made a viable trade offer makes me think his medicals are looking pretty grim. You also have to look at it this way: if Haren is looking for a one-year, “re-establish my value” contract, why would he come to New York? A fly ball heavy pitcher in a small stadium in the AL East is no way to rebuild value. The Yankees should look into him because of his track record, but I don’t see Haren as a slam dunk no-brainer they should go all out to sign. Lots of risk here. I’m a pretty big Anibal Sanchez fan and I consider him the best non-Greinke free agent pitching option this winter. He offers the best combination of youth (28), performance (3.70 ERA and 3.40 FIP since 2010), and durability (major shoulder surgery in 2008, but 195+ innings in each of the last three years). Sanchez made a brief cameo in the AL this season following his trade to the Tigers and he handled himself well, plus he impressed in his three postseason starts. Not the sexiest name but a rock solid pitcher. There doesn’t seem to be a consensus about an appropriate contract, but it wouldn’t surprise me if a team gets an aggressive and offers the A.J. Burnett/John Lackey contract (five years and $82.5M). I highly doubt the Yankees would offer that much, but Sanchez would be my first target if Pettitte and Kuroda decline to come back. Keith Law said it best this weekend: “It’s time to accept that this is almost certainly what Jackson is going to be. He looks like an ace, holding mid-90s velocity or better for 100 pitches, but just turned in another season of good-not-great performance, this time entirely in the National League.” There’s nothing wrong with that at all, especially at age 29 and with his track record of durability (180+ innings in five straight years). I’m just not expecting Jackson to get any better even though he’s yet to hit 30. He would be my number two target behind Sanchez if Kuroda and Pettitte don’t come back, number three if Haren’s back checks out okay. Lohse is going to get a significant contract this winter, maybe the biggest behind Greinke, but I wouldn’t touch either him or Dempster unless they’re willing to come real cheap. They’re two guys who have had most (all?) of their success in the NL and don’t operate with much margin for error. It’s also worth noting that Lohse received a qualifying offer from the Cardinals and would require draft pick compensation. Solid pitchers for sure, but not guys I would consider impact additions for the Yankees. All three have their warts, but all three have some kind of track record of success in the AL. Guthrie is probably the safest bet while McCarthy is both the riskiest (very long injury history) and has the highest upside. Marcum’s kind of the in the middle. I prefer any of those three to Lohse and Dempster and would consider them solid additions on one-year contracts. Anything more than that is really pushing it. Because he doesn’t really fit anywhere else, I’m going to mention Carlos Villanueva here. I’m a big fan (perhaps too big), but I like him best as a sixth starter/swingman. I wouldn’t want the Yankees to sign him with the idea of him making 30 starts and throwing 200 innings. I can’t see how anyone could expect him to do that in 2013. I wouldn’t trust any of these guys with a starting spot, at least not right out of the chute in Spring Training. To be honest, Liriano is the only one who is remotely intriguing to me. He’s still on the right side of 30 and has a year of ace-caliber performance in the not-too-distant past to his credit (2010). I consider guys like Jeff Francis, Erik Bedard, Scott Baker, Kevin Correia, Dustin Moseley, and Jason Marquis to be minor league contract only options for the Yankees. This is the bottom of the pitching barrel right here, but thankfully there are plenty of other options out there. Via Jon Morosi, the Yankees had a scout at Zack Greinke’s start against the Reds today (box score). Given their past history with Greinke, this was likely routine coverage more than anything else. A week or so ago we heard that they had someone watch Wandy Rodriguez as well. About two weeks ago Joe wrote that the Yankees are likely to be connected to every available starting pitcher between now and the trade deadline just because. There’s no such thing as too much pitching — look at how quickly the rotation thinned out today — and getting involved could theoretically drive the price up for other interested teams. If the Yankees do add a pitcher before the deadline, I would be surprised if it was someone of Greinke’s caliber. A smaller depth move seems more likely. Would signing Zack Greinke next winter really be that bad? Throughout the 2011-2012 Hot Stove season we have frequently looked ahead to next offseason, with its presumed bumper crop of studly free agent pitchers, including (at the moment) Cole Hamels (age 29), Matt Cain (28), Zack Greinke (28), Francisco Liriano (29), Shaun Marcum (31), Brandon McCarthy (29), Anibal Sanchez (29), and Jonathan Sanchez (30). A handful of attractive names — James Shields (31), Gavin Floyd (30), Dan Haren (32) and Ervin Santana (30) — have club options, but said options are mostly reasonably priced and it seems unlikely that any of that quartet would be bought out. Prior to the Big Trade, it was generally expected that the Yankees would be all over Hamels should he make it to free agency, and rightly so, as it’s not every offseason an elite left-hander makes it to the open market. The case for Hamels is a no-brainer: Since breaking into the league in 2006, Hamels is tied for the 13th-most valuable pitcher in all of baseball, producing a stellar 3.39 ERA/3.63 FIP/3.42 xFIP line over 1,161.1 innings with a beautiful 8.45 K/9 and 2.26 BB/9. The only left-handers ahead of him on that list are CC Sabathia and Cliff Lee. So unless Phillies’ GM Ruben Amaro somehow convinces Hamels to take a way-below market extension a la Jered Weaver — and it’s extremely difficult to envision this happening, as the numbers suggest Hamels could very well be in line for a $161 million CC Sabathia-type deal — or is able to convince Phillie ownership that they can indeed afford another $100 million-plus pitcher, next offseason’s pursuit of Hamels will likely rival both last winter’s Lee sweepstakes and the 2008-2009 Sabathia drama as one of the craziest ever. However, in the aftermath of the Montero-Pineda deal, an additional wrinkle has been thrown into the mix, namely whether the Yankees determine they can afford to add Hamels in light of all the talk of an austerity budget. While I personally feel the Yankees would be nuts not to do whatever it takes to land Hamels, if they do decide the lefty is too pricey or doesn’t even end up becoming available, there’s another, arguably slightly better, younger (and perhaps most importantly, presumably slightly cheaper) option that seems an even surer bet to reach free agency next winter, and that’s former Cy-Young-award-winner Zack Greinke. While the lefty Hamels has commanded much of the attention, Greinke’s future availability seems to have gone somewhat overlooked, and so I thought I’d point out why he should be just as much of a Yankee target as Hamels, if not moreso. For one, on that aforelinked list of most valuable pitchers since 2006, Greinke is above Hamels, checking in at 7th with a 3.41/3.14/3.39 pitcher triple slash in more than 200 fewer innings than Hamels along with a sterling 8.68 K/9 and equally drool-worthy 2.33 BB/9. Of those top 30 pitchers, the only hurlers with a higher K/9 are Tim Lincecum, Clayton Kershaw and Jake Peavy, and the latter hasn’t been at that level since 2009. The only ones with superior FIPs are Lincecum, Roy Halladay and Josh Johnson. This past season, Greinke — always a strikeout-heavy pitcher — upped his game to levels of even more ridiculousness, leading all of MLB with a career-high 10.54 K/9. His 2.98 FIP was 9th in the league, while his 2.56 xFIP was first. These are big boy numbers, and the only reason you likely didn’t hear more about Greinke’s huge year was because he started the season injured and was also betrayed by his defense, as his 3.83 ERA was fueled in part by the second-highest BABIP (.318) of his career that helped fuel the third-lowest strand rate (a below-league-average 69.8%) of his career. Greinke has three legitimate weapons against righties in his four-seamer, slider and curveball, each of which generate above-average Whiff rates. Somewhat unexpectedly, Greinke’s heater has lost about 1.5mph since 2009, although this hasn’t seemed to hinder its effectiveness, as his Strike% and Whiff rate has improved in each successive year, while his In-Play% is on a three-year decline. It’s helpful to know that Greinke doesn’t need to be routinely dialing it up to 94mph to be successful with the heat, although it’ll be important to keep an eye on that velocity this coming season to see whether it takes another dip. Greinke doesn’t really throw his change to righties, and per the PITCHf/x data he appears to have added a two-seamer in 2010, although again, given the myriad classification issues that frequently arise when analyzing this data, it’s possible there are some four-seamers being misclassified. Although the extremely low Whiff rates on the two-seamer would seem to indicate that this pitch is indeed a sinker. He went from throwing it nearly 30% of the time to batters on both sides of the plate in 2010, to under 10% of the time last season — I’m not sure what to attribute the decrease to, as the sinker appears to have helped him generate more grounders, but perhaps it’s as simple as Greinke wanting to further diversify his arsenal. As you might expect, Greinke’s Whiff rates aren’t quite as robust against lefties, though they’re still plenty high. What he’s missing in four-seamer Whiff% he more than makes up for in Changeup Whiff%. In sum, we have a pitcher who misses a ton of bats, has a knockout slider to complement his blazing fastball, and who also appears to have added a two-seamer/sinker to his repertoire to help spike his ground-ball rate. So essentially, Zack Greinke is a right-handed, younger version of CC Sabathia. I think we’d all happily sign up for that. Of course, the elephant in the room is Greinke’s social anxiety disorder. I’m not a psychologist nor do I have any way of quantifying how his mental state might impact his performance, though it’s been speculated by many that Greinke may not have the intestinal fortitude to flourish under the microscope on the biggest stage in the world in the Bronx. Brian Cashman essentially echoed that sentiment during last offseason as the Yankees passed on acquiring Greinke via trade, despite the pitcher’s apparent protestations that he was indeed cut out for and eager to pitch in New York. Even if the Yankees — and presumably, other teams — have concerns over Greinke’s head, the fact that the cost of acquiring him is just money and not prospects should help ease some of the worry. It also may help knock his price down. While the numbers indicate Greinke should probably be paid as though he were CC Sabathia, the questions about his make-up may hinder him from reaching that financial plateau. If Greinke can be had for, say, $108 million over six years ($18 million per is probably a conservative estimate) however, his market could end up depressed if GMs are afraid to pay him like an elite pitcher due to any lingering fears about SAD. Per FanGraphs’ much-derided $/WAR calculation he’s been worth an average of $25.6M per season since 2008), I don’t see any rational reason for the Yankees not to run with that deal all the way to the bank.